Vineyard Creek Estates is one of the best kept secrets in North Carolina. We are known for our attention to detail in both the design and construction of each custom cabin as well as the design and landscaping of the surrounding property. Vineyard Creek Estates' cabins are widely regarded as some of the highest quality in the area. Tim meets with each resident and together they create the perfect place to call home (whether just for vacations or forever). 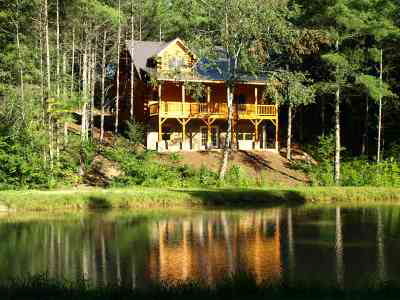 Several of our owners have chosen to make their cabins available for rental. Check out the rental information page (coming soon) and then schedule a time to come up and visit us. One of the best features of Vineyard Creek Estates is Beaver Dam Creek that runs through the property. 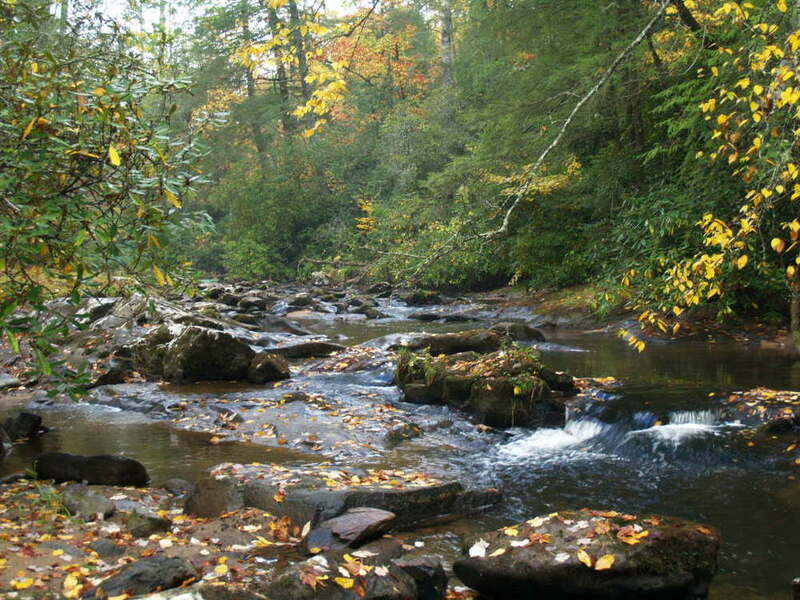 Many of our cabins (and cabin sites) have a view of the creek. Vineyard Creek Estates is the last private property on Beaver Dam before it empties into Lake Hiawassee. Beaver Dam Creek is a cold, clear, native trout stream. It is also stocked by the North Carolina Fish and Game Dept. to create a truly wonderful fishing opportunity. Whether fly fishing for the elusive native rainbows or relaxing by the water’s edge for a picnic, Beaver Dam Creek offers property owners a great addition to their purchase. Each lot in Vineyard Creek Estates includes deeded ownership to the common area creekside. Nestled in the beautiful mountains of North Carolina, Vineyard Creek Estates provides breathtaking views of the Smoky Mountains. We are less than 4 miles from the marina on Lake Hiawasse.